Laura Keener of the Roman Catholic Diocese of Covington said Saturday it regrets the incident and is investigating, but didn't comment further. Videos circulating online show a youth standing extremely close to an elderly Native American as he chanted and played a drum. 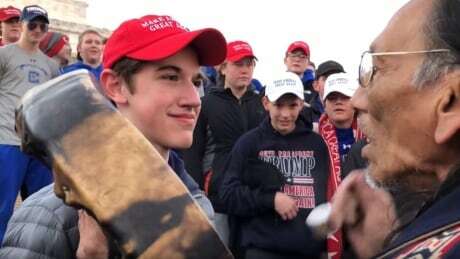 Other youths, some wearing clothing with Covington logos, surrounded them, laughing and shouting. U.S. Rep. Deb Haaland of New Mexico sharply criticized what she called a display of "blatant hate."